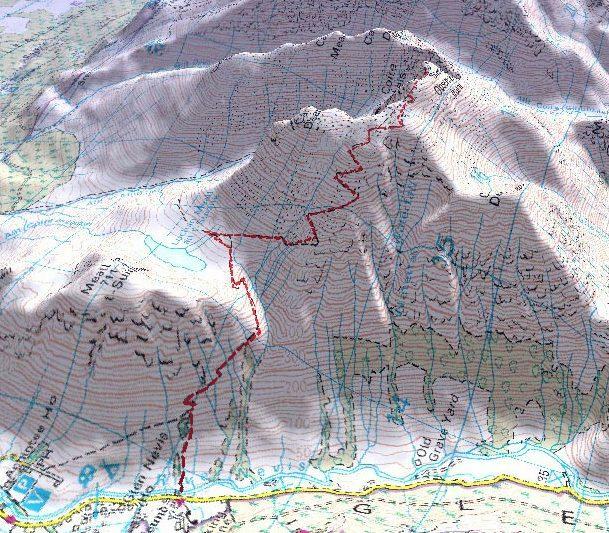 Fort William based West Highland Guides know this mountain very well, and enjoy helping you to achieve your goal. 1300m ascent is best tackled at a steady pace, taking most folk around four hours over 8km. For your leader, navigating safely off the plateau may involve careful use of compass and wristwatch, as clouds often shroud the summit in summer. Most winter days we teach these techniques after guiding a route on the north face. If you are thinking of bringing a group of friends to tackle the Pony Track over the summer, please contact us for (free) advice and tips for success. Try to anticipate the scale of this challenge and don’t drive far afterwards! These routes may take anywhere between 7 and 12 hours, due to the roughness of the terrain. There is no escaping the gruelling ascent, but dramatic views across from the largest and most dramatic cliffs in the UK make both routes ultimate ascents for newcomers and experienced hillwalkers alike. For many visitors the paved pony track to Glen Nevis is a painful and avoidable finale. Forestry operations permitting, we can leave a vehicle beside the Allt a’Mhuillin intake at 270m above sea level. The quiet north facing cliffs contrast starkly with the busy and sociable descent of the main mountain track. We arrange safety cover for film and television productions, also challenge events on the more accessible southern flank of the mountain. All humanity seems to be here, but only for a short time. Three pairs of ravens inhabit the slopes, cannily avoiding all attempts to hand feed them but the zip of an unattended rucksack will entertain them for a short while. The walls of the ruined summit observatory and ‘hotel’ may offer you a little shelter from the wind and you may be rewarded with a view of up to 60 miles. Climbing these larger hills is made safer and more enjoyable by walking with an experienced leader. Call or email for full details of our Midweek special offers.